It’s going to be a busy weekend out in Blue Lake where one and all are invited to make long-term temple art commitments during the 10th annual Inked Hearts Tattoo Expo featuring numerous in-demand tattoo artists from around the globe. 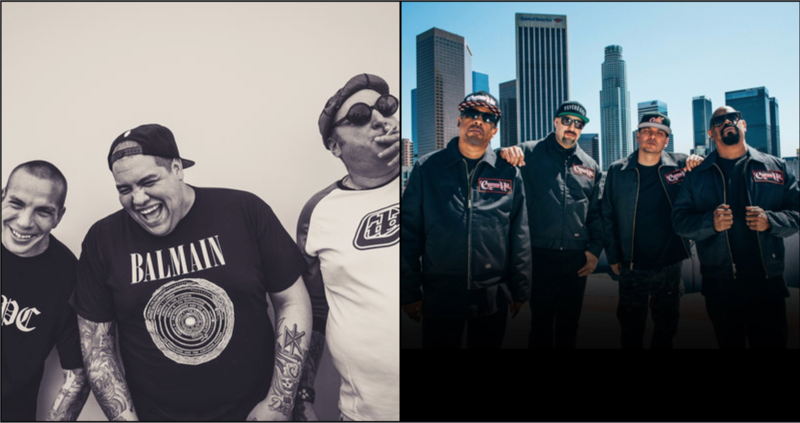 As part of the festivities, Blue Lake Casino will also host a pair of musical groups whose songs have provided the soundtracks to uncountable Humboldt smoke-out sessions, namely Sublime with Rome (Friday) and Cypress Hill (Saturday). Details on that and more in your Lowdown below. Blue Lake Casino and Hotel / 11 a.m.
10th Anniversary of Inked Hearts Tattoo Expo! Humboldt’s original Tattoo Expo! 4 days of tattooing, entertainment and afterparties, at Blue Lake Casino! Part of the Inked Hearts Tattoo Expo. Sublime with Rome is a musical collaboration between Eric Wilson, formerly of the American ska punk band Sublime, and singer and guitarist Rome Ramirez. Ferndale Repertory Theatre / 8 p.m. The Pines is an estate with a lot of history. After all, it’s a former brothel—sorry: a haunted former brothel. But over one madcap evening of abandoned spouses, suicide notes, sleeping pills, and seduction by a ghost, The Pines is going to be unforgettable for an entirely new reason. Come meet marble makers and see the work of glass artists from around the world. There will be live glass blowing demonstrations all day, both days. Watercolors and Wine. Perfectly paired for an evening of fun with Bill as he introduces you to many newly framed pieces of his original watercolor paintings. Come learn some basic tools to hold a conversation in Spanish! The Double the Money Hallabaloo benefit will raise funds for the Bayside Community Hall. Two local bands, Home Cookin’ and The Handshakers, will present an evening of music and dance. Arts! Arcata: February is for Lovers! After a long hiatus….blah, blah, blah…. the Kaptain has returned…yada, yada, yada… to do his thing…..which of course is….. Well, y’all know what that is. Usually playing together in popular local folk quartet “The Gatehouse Well”, Nate and Dominic will now be striking boldly out to put on a show as a duo. Redwood Region Audubon Society invites you to join Andrea Tuttle for an armchair trip to South Georgia Island aboard the National Geographic Explorer. Film adaptation of Hunter S. Thompson’s 1971 novel Fear and Loathing in Las Vegas: A Savage Journey to the Heart of the American Dream. The Madrone / 8 p.m. Performing outstanding Rock n’ Roll in the Humboldt county area since 1979,The Backstreet Band plays everything from Tom Petty to the Beatles, and Bob Dylan to Bad Company, as well a variety of other classics. Arcata Plaza Arts! Arcata: February is for Lovers!